Harlan served as an associate justice of the U. S. Supreme Court from 1877 until his death, earning a reputation as one of the high court’s great dissenters. He dissented most forcefully from the majority on issues of civil rights for African Americans, arguing that the equal rights of blacks were guaranteed by Thirteenth, Fourteenth, and Fifteenth Amendments. His opinions would not be vindicated until the mid 20th century, years after his death. 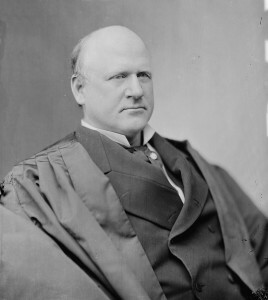 His grandson, also named John Marshall Harlan (1899–1971), also served on the Supreme Court (1955–1971).